Kumar Sangakkara will take to the field for the last time in first-class cricket this week, in a game with very little riding on the outcome. 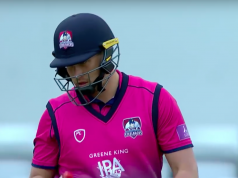 As four sides below them contend with relegation, Lancashire and Surrey can rest easy in the knowledge that their Division One status is secure and all that can be gained from a win is second spot and, with it, greater financial reward. It’s a comfortable place to be. Lancashire, especially, haven’t had to look over their shoulders, instead looking up at Essex and trying – but ultimately failing – to catch them. Surrey’s season has been far more difficult, their inability to churn out wins on any sort of regular basis – or produce results in general – preventing them from pushing for the title. Indeed, last week’s victory against Somerset was their first win since the opening week of the season, and their first Specsavers County Championship result since early June. There is little better than a tasty young leg-spinner and in Matt Parkinson Lancashire have a real talent on their hands. 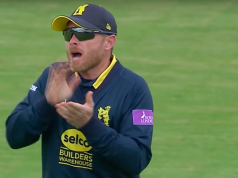 After bursting onto the scene last year with a five-wicket-haul against Warwickshire, he has slowed a touch, taking 17 wickets in 11 further innings. But that is not to say he has not impressed; he picked up seven in the match at Taunton two weeks ago. If this Old Trafford deck has any assistance for him, chances are he’ll find it. 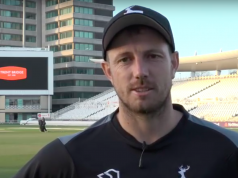 Mark Stoneman picked up exactly where he left off when returning to Surrey from England duty two weeks ago, with a ton against Yorkshire and a fifty against Somerset. He looks every bit a man who has grown from his admittedly limited Test experience and has a key role to play. The Championship’s second leading runscorer, Stoneman will want to sign off the county season with a big score and show just why he is virtually a certainty to be Alastair Cook’s opening partner in Australia this winter. Haseeb Hameed, having broken his finger last week and subsequently had surgery, is absent for Lancashire with Rob Jones replacing the 20-year-old opener. Scott Borthwick returns to an otherwise unchanged Surrey squad after two weeks of second team cricket. Naysayers would suggest Manchester cricket in late September is a maddening prospect with rain the likely eventuality, but it is not so this week. Early morning showers on Monday and Thursday could briefly delay start times but it looks a mild week, cloudy but dry, with temperatures hitting 18 at times.